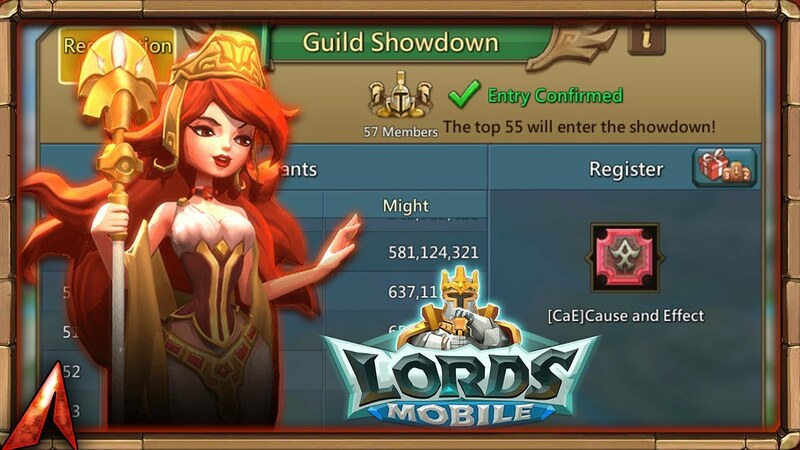 How To Register For GuildShowdown!! *Your Talents,Equipments,Turf Boosts, Army LineUp,and might will be recorded at the time of registration and that is what will be used in Showdown. Check them carefully. *Choose your troop composition carefully. And Don't send seige troops and seige heroes it will be useless. As its purely army vs army & no walls!! *Your leader doesn't gets captured so don't worry send it too. If your leader is seige or dont have troops more of type of your leader change your leader first. *Make sure to send your heroes accordingly too. For example if you send infantry +cavalry only compostion then send infantry and cavalry heroes to boost infantry & cavalry attack stats. *You don't have to apply army size boost. *Additional boosts : if you aren't on a long shield scout someone randomly to add battle fury attack % too. Prison and Alter boosts would add up too. I'll add up it lil bit further when you're a small player in a big guild like me who can't come under top 40 on guild showdown you'd not waste by changing talents if you've talents on gather and research and building, just participate and you'll get rewards. Thanks for reading till end.